Davos has merged with the village of Klosters to become one ski resort, Davos-Klosters. Davos and Klosters are seven miles apart and are linked by a regular train service that is free to ski pass holders. The combined ski area has nearly 300 km of pistes, over six different ski areas, one area for freeriders only and numerous mountain restaurants. Free to use cross country skiiing on 100km of tracks. Nearly 160km of prepared winter snow shoeing and hiking trails. The Parsenn funicular offers speedy access to the vast ski area which links up with Kolsters. Davos is a working city and attracts visitors wanting urban buzz, good facilities and affordable accommodation. Davos offers ice-skating, ice hockey, curling, tobogganing, snowshoe-trekking, 'nordic walking', horse-riding, horse sleigh-rides. A variety of shops, cafès, bars and restaurants, cinema. Klosters is a ski resort of international renown which has managed to preserve its village character and charm. The exclusive Alpine village of Klosters is popular with the rich and well connected (Prince Charles is a regular visitor) who frequent its upmarket hotels, chalets and restaurants. Bus and rail services available from Zűrich. Railway staion in Davos Dorf. Only 30 mins from Davos to Klosters. Davos: 1,560 - 2,840m (5,120 - 9,320ft. Klosters: 1,200 - 2840m (3,940 - 9,320ft). Davos: 30% beginner, 50% intermediate, 20% advanced. Klosters: 30% beginner, 40% intermediate, 30% advanced. 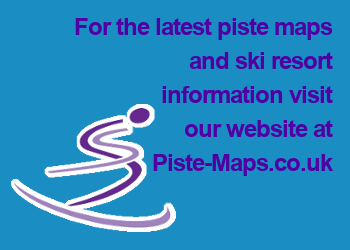 Large ski area; easily accessible off-piste; tree skiing; suitable for non-skiers. Davos town is long and spread out, lacking Alpine atmosphere, quiet night-life in Klosters; limited snow-making.